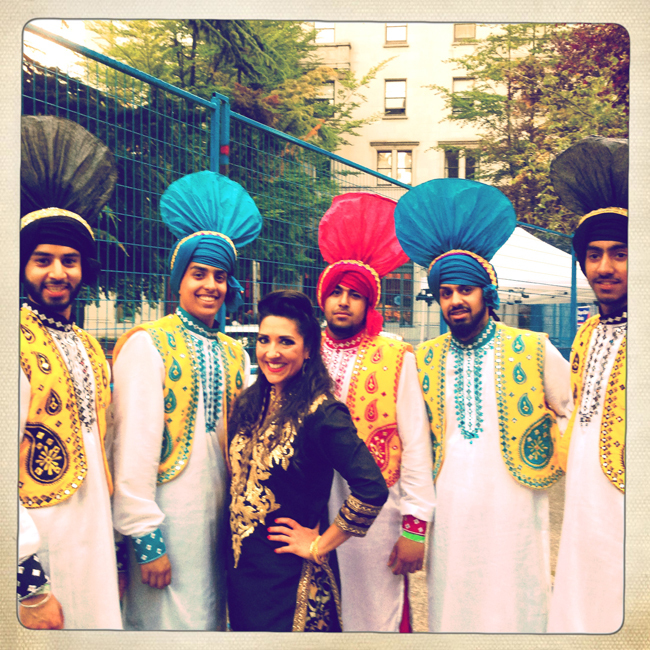 ANDAZ is the longest-running Desi dance party in the world! A transportive experience that has enraptured feverishly dancing crowds for more than 16 years. Tropitaal A Desi-Latino Soundclash Six-Year Anniversary Celebration! and special guest Terror/Cactus (psychedelic electro cumbia and experimental digital folklore from Seattle). Thanks for all the love! We won Best DJ in Portland in Willamette Week’s Best of Portland Readers’ Poll 2016 and 2017! KABHI KHUSHI KABHIE KUSH, hosted by The Incredible Kid, broadcasts every Tuesday on KBOO (90.7 FM PORTLAND 10pm – midnight Pacific.) Anjali and The Kid have been proud hosts on KBOO Community Radio since January of 2006. Learn Bollywood and the Panjabi folk dances Bhangra & Giddha with Anjali at The Viscount Dance Studio Thursdays in April 5:30-6:30pm. Drop in or sign up for 4 weeks. Anjali has been studying dance since childhood, starting with her Indian Mum (who performed Kathak in Bombay as a member of the Gopi Krishna‘s troupe.) Anjali herself has studied & performed both Kathak (North Indian Classical) & Bharata Natyam (South Indian Classical) and draws from these traditions as well as Jazz, Hip Hop & South Asian Folk to teach her version of Bollywood at The Viscount Dance Studio.